Prince Heinrich succeeded as reigning Prince Reuss of Greiz after the death of his father on 8 November 1859. As Heinrich was a mere thirteen years of age, his mother Caroline served as regent until his majority at the age of 21. As the daughter of an Austrian general and the wife of an Austrian officer, Caroline was vehemently anti-Prussian. 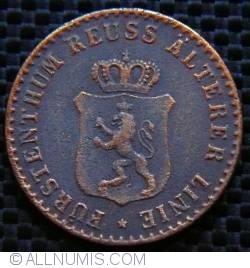 As a result, during the Austro-Prussian War, Reuss was occupied by Prussian troops, who remained until a payment of 100,000 thalers. On 28 March 1867, Heinrich took the reins of government into his own hands. Upon taking full power, he gave his principality its first constitution. Like his parents, Heinrich remained anti-Prussian his entire life, repeatedly rejecting Prussian measures such as Kulturkampf and the creation of civil marriages. Heinrich, as well as his subjects in Reuss, refused fully to accept that the Hohenzollern German Emperors had precedence over other royal houses; for instance, when asked about his relationship with the Emperor, Heinrich would simply respond that they "were allies for the common defense of the German Federation". 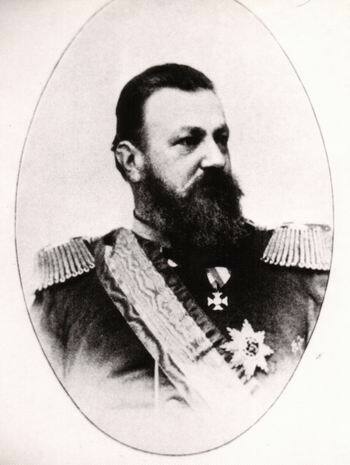 Heinrich lost no opportunity to displease the Emperor, declining to permit the construction of any memorial to Emperor Wilhelm I, Wilhelm II's beloved grandfather. Heinrich also refused to tolerate any demonstrations of mourning, either official or in private when the deaths of emperors Wilhelm I and Frederick III occurred, and forbade any celebration of the anniversaries of the German victories of 1870. 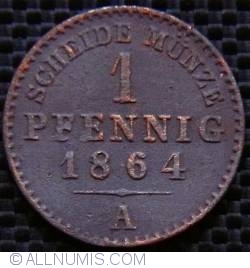 Prince Heinrich was very wealthy, as the greater part of the territory he ruled over was his private property. At the end of his rule, Reuss contained fewer than 70,000 people, and comprised an area of 122 square miles.